If you’ve taken painkillers such as Oxycontin, Percocet, Demerol, morphine sulfate or other opioids, it’s likely your pain subsided before your medicine was gone. That leaves you with the question of what to do with the unused medicine. The easy thing is to leave it on the shelf. But health policy officials urge you to dispose of opioids, lest the highly addictive drugs be taken by someone who shouldn’t have access to them. It’s not an abstract concern. More than 18,800 people died of causes related to prescription opioids in 2014. Many got the drugs from friends or family members. If the drugs had been disposed of properly, chances are some of those people would still be alive today. It’s also likely there would have been fewer overdoses. The Food and Drug Administration says many drugs, including the ones named above, can be flushed safely or thrown away. You can find a full list of such drugs on the FDA website. Mix medicines with something unpalatable, such as dirt or coffee grounds. Scratch or peel off any personal information from the medication container to make it unreadable, then throw it away. Some warn against flushing opioids and drugs in general or putting them in the garbage, arguing that they can accumulate in the environment and continue to pose dangers to pets. The Drug Enforcement Administration conducts periodic Prescription Drug Take-Back Days, which it publicizes in advance. A recent take-back day netted more than 893,000 pounds of unwanted medicine. Many communities also have DEA-authorized collection sites, including some in-store kiosks. You can search for a convenient authorized collection point on the DEA’s website. Health care officials at the Centers for Disease Control and Prevention recently issued guidelines for prescribing opioids, including the most appropriate drug to prescribe in a given situation, dosage, duration, monitoring and discontinuation of the prescription. A survey of patients who had been prescribed painkillers found that about half couldn’t recall any instructions about what to do with unused medicine. Clinicians should talk to their patients about how to safely store and dispose of opioids, say researchers from Johns Hopkins’ Bloomberg School of Public Health. If you suffer from chronic pain or other conditions, discuss the best course of treatment with your health care provider. 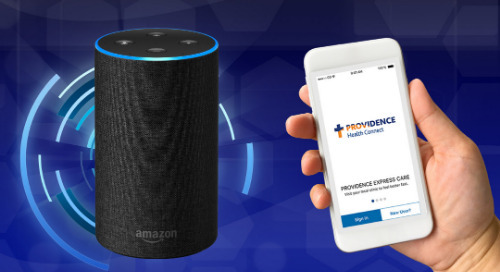 If you don’t have a Providence provider, you can find one here.